This morning, while we were trying to pump out all of the great Google Play and Motorola news, Amazon announced the Amazon Echo, an always-listening device which sits in your home, waiting on your every command. 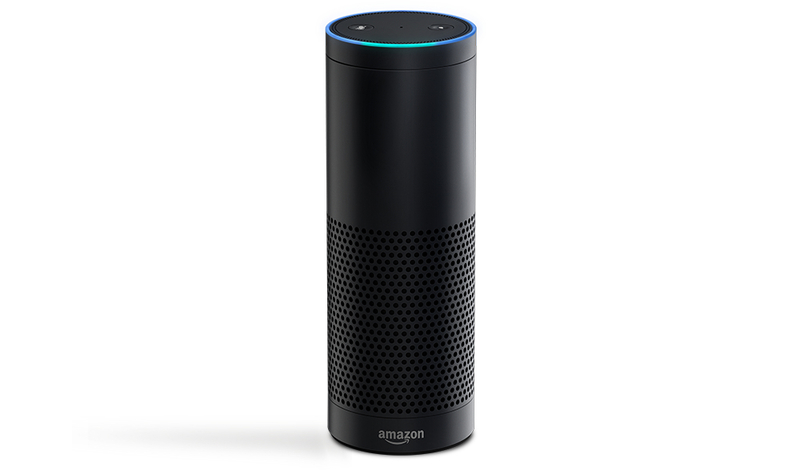 Think of Echo as a personal assistant, who is attached to your Amazon account. It can listen and speak information to you, add things to your shopping list, play music with built-in speaker, and also keep track of your calendar. After plugging it into the wall and getting it set up, the device sits wherever you want it to be, and can hear you from basically anywhere as long as you are in the same space. So, what can you do with it exactly? Take a peak below at the graphic from Amazon. 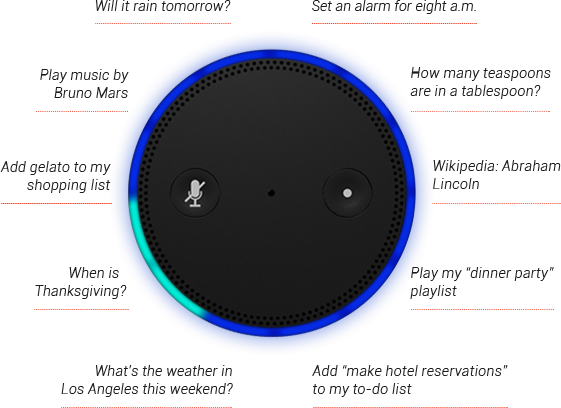 Echo will have special Android and iOS apps available for controlling a few of its features, which could make this a good companion device in your home. Amazon states it will go on sale within the next couple of weeks. The Echo is priced at $199, but Amazon Prime members can grab it for only $99 if their request for an invite is approved. For more information on the Echo, check the video below, then Amazon’s official announcement by following the via after that.